The Brazilian National Research and Educational Network (RNP) began its participation in 4th Action Plan of the Open Government Partnership (OGP), with the commitment to implement a pilot federated infrastructure of research data repositories by June 2020. 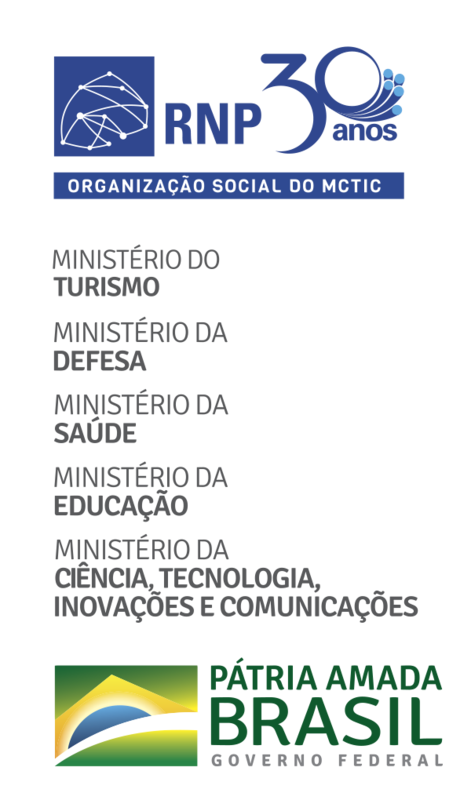 RNP is responsible for implementing this framework, which will also have the participation of the National Council for Scientific and Technological Development (CNPq) and the Brazilian Institute of Science and Technology Information (IBICT). Launched in 2011, the international initiative OGP (Open Government Partnership) currently has the participation of 75 countries. The goal is to promote greater transparency in information between governments and citizens, and strengthen governance in democracy by encouraging social participation, fighting corruption and developing new technologies that make governments more accountable for their actions. Every two years, the OGP countries develop National Action Plans, according to the areas in which they need to develop. In the 4th Action Plan (2018-2020), ten topics were prioritized, one of them being "Innovation and Open Government in Science". The methodology adopted includes co-creation workshops, coordinated by the Ministry of Transparency and the Office of the Comptroller General (CGU), with the participation of various government institutions and civil society. In addition to RNP, the Brazilian Agricultural Research Corporation (Embrapa), the Coordination of Improvement of Higher Education (Capes), the Oswaldo Cruz Foundation (Fiocruz), the University of Brasilia (UnB), the IBICT, the CNPq and the Open Knowledge Brasil have participated. In the first workshop, held on May 29th, representatives of participating institutions chose three challenges to be faced, which were submitted to public consultation. The result of the popular voting has prioritized the challenge "Improve governance instruments of science for the advancement of open science". Proposing interoperability standards for search data repositories. According to RNP's Deputy Director of Advanced Internet, Leandro Ciuffo, two projects will directly contribute to the execution of the first commitment, which is the responsibility of RNP: the results of the Working Group on Brazilian Research Data Network (GT-RDP Brasil) and an initiative of the Foundation for Research Support of the State of São Paulo (FAPESP) to build a pilot federation of scientific repositories in a group of universities in São Paulo. "The GT-RDP aims to prototype a service for open access to research data. One of the most important results of this project so far was the publication of a questionnaire for the mapping of practices and perceptions about open access to research data in Brazil. This questionnaire was sent to coordinators of graduate programs and research groups, reaching a total of 4,735 responses", said Leandro Ciuffo. To find out more about the OGP partnership and follow the commitments made in the 4th Action Plan of OGP-Brazil, visit the Open Government website.